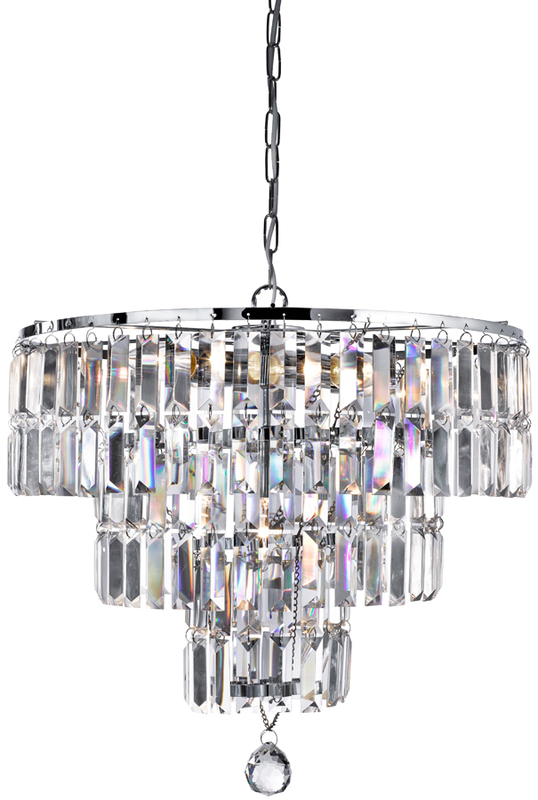 This Empire modern 3 tier 5 light crystal and polished chrome chandelier is attractive, practical and spectacular. 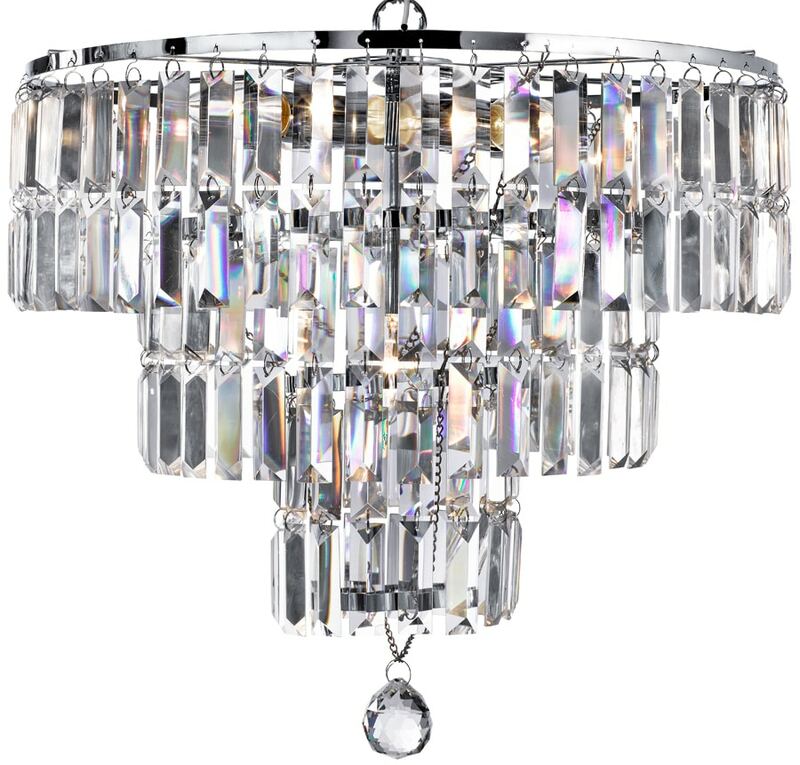 Featuring a circular ceiling mount and tiered frame in chrome, with layers of high quality clear crystal coffin drops hanging around the rim and lower faceted crystal ball. 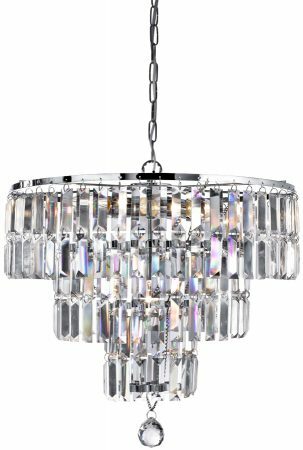 This magnificent, glittering ceiling light features rectangular crystal prisms hanging from a modern, polished chrome finish frame. 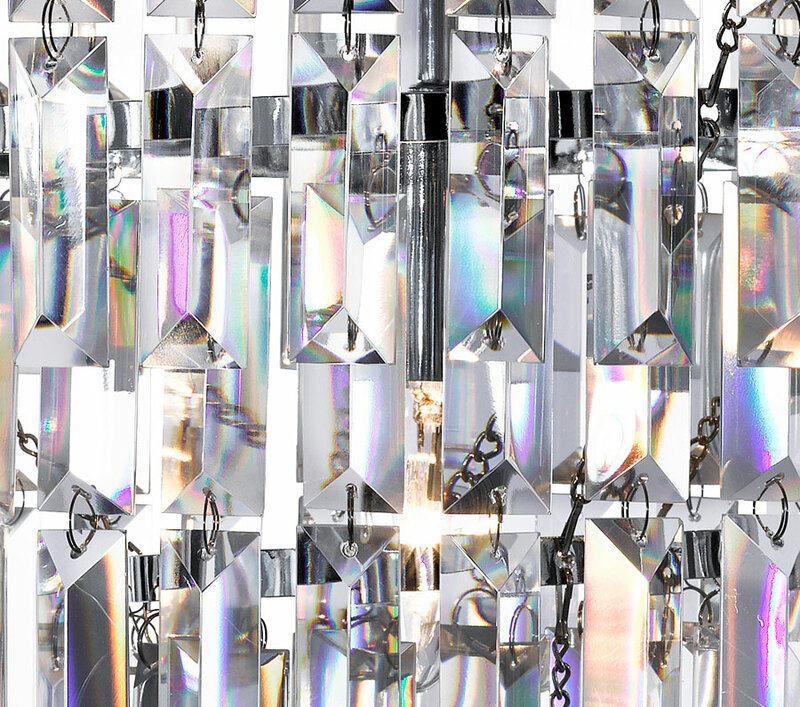 Create a scintillating, jewellery-like effect with this feature in your living area or dining room. Supplied with height adjustable suspension chain; please see below for dimensions. This modern crystal chandelier is supplied by Searchlight who manufacture some of the best traditional and modern classic designs such as the Empire modern 3 tier 5 light crystal and polished chrome chandelier you see here.